So this is it – our last ever weekly Questions & Answers blog post! I already mentioned this briefly in last week’s post and today I’ll give some more info on why I’m ending this series of posts and more importantly – what comes next. There are three main reasons as to why I’ve decided not to continue with these posts as they are at the moment. 1) Repetitive questions. As we have covered HUNDREDS of questions in these 60 posts, I find that I’m receiving the same questions more and more often and it just doesn’t make sense for me to keep repeating the same things over and over. Instead I could just point you to the previously answered question. 2) Hard to find information. All 60 of these Q&A posts are named in exactly the same way – “Your eBay & eCommerce Questions Answered” followed by the number. This makes it very difficult to find previously covered topics via my blog search or via Google. 3) More in-depth answers. Many times you ask questions that would require a much deeper response, with me giving more detailed tips and advice. With the current format that’s really not possible as it would take up too much of my time to give detailed answers to every question. Plus it would make these posts extremely LONG. With all this taken into account, I think it will be better for all parties involved to change the FORMAT of these posts. So here’s what will happen from now on – you’re still more than welcome to send your questions in! I still WANT them! And I will still answer ALL emails personally as usual BUT the weekly post won’t consist of multiple questions anymore. Instead, I will do whole posts on ONE of the questions you have sent it! So that I can dig deeper into that topic and give more detailed advice. This way I can fix all 3 problems I previously mentioned and in my opinion, this will help grow this blog as we move forward, by building a valuable archive of real life problems and topics that you can always refer back to in the future. 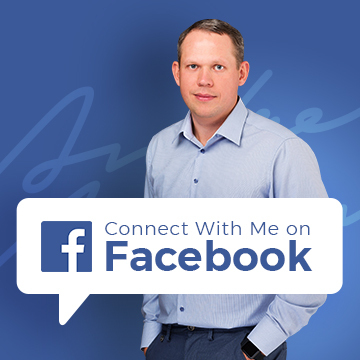 As I said, I still want you to send in your questions via the contact form on this page – the only change is that I’ll choose the best one each week to do a dedicated post on. Can you claim back import taxes on returned goods? How to reply to eBay messages via email? 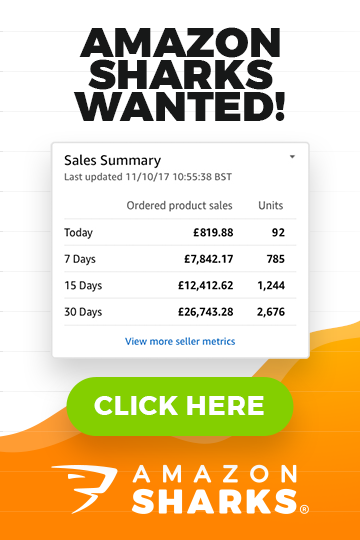 What does EXW price mean? How to save £1500 by using the RIGHT freight forwarder? How to properly calculate shipping costs for imports from China? Do I have to pay Import Duty on goods from China which were sent straight back as unsuitable? Yes, you can claim back any VAT and import duty paid on returned goods. Be warned though that the form is very long and somewhat complicated so if it was a very small amount you paid in taxes on your import, it’s probably not worth the hassle. I wonder if you could solve a little mystery for me. In a previous business, I was able to reply to messages from eBay customers by just hitting Reply in my email software. This was very useful as it meant I was able to easily search for any correspondence relating to a particular enquiry or customer in Mail, rather than having to rely on the flaky and poorly design Message Centre within eBay. But now, if I try and respond to messages this way, it seems the reply just disappears into the ether. I have to either hit the Reply button in the message, or use the eBay message centre. Is the functionality I’m used to still available? Am I doing something wrong? Yes, you can reply directly to eBay messages from your email account. BUT the email address you’re replying from has to be same as the one on your eBay account, otherwise it won’t work. A supplier gave me a price for a product in EXW terms. I told them to include the shipping by air courier so does it mean all the expenses are included in the total? No, EXW price doesn’t mean that everything is included in the price, far from it. EXW means ex-works – it’s basically just the product’s price alone. It does not include any shipping costs within China or export fees, not even talking about the shipping costs to you. If you want your supplier to organise shipping for you, then just ask them for a final price, including courier delivery to your door. If you plan on using a 3rd party freight forwarding company, you’ll want to get a FOB price (which will include all the costs at their side so you just have to cover shipping and related charges in the UK, or whichever country you’re located in). How Import Taxes Can DESTROY Your Business! I have read your blog in the past and also purchased your eBay business course last year. I am just approaching the point where I have had quotes from some suppliers and have also received quotes from some freight forwarders. The reason that I am messaging is not to ask a question but to offer some feedback on something that I think you should mention or at least highlight, next time you discuss freight forwarding. I received two quotes from two different freight forwarders, which I found expensive. I then went to Woodland Global, who I remember you recommending and received a quote for a 20ft container that was a third of the price of one of my quotes and was £700 cheaper than the other quote. The point that needs highlighting, is not just so much get a quote from Woodland Global but make sure that people get quotes from multiple freight forwarders and don’t fall in to the trap of choosing a freight forwarder because he/she is very friendly and helpful, because being friendly and helpful doesn’t necessarily mean that you are being given a fair and decent quote.. I have concerns now, that certain companies are taking advantage of the people new to importing and trading on eBay/Amazon. Your recommendation to look at Woodland Global will save me over £1500, so thank you very much! Yes, of course – you should always compare prices. With freight forwarders though, it’s not only price that matters – you want to work with a reliable, quick company who can keep their promises. That’s why I recommend Woodland Global as they’re great in all aspects PLUS very competitive on pricing too. It’s great to hear that my recommendation saved you £1500. I’ve read loads of threads on here and the very useful First Timer thread that’s pinned but still need a bit of clarification. I hope that’s not indicative of my cognitive abilities! I want to import stationery items from China to the UK and have sourced some suppliers via Alibaba. I am now narrowing down samples, which are free, I just need to cover Express postage (approximately $35). My question is; do I want air freight or sea freight? I’m buying from several different suppliers and am having difficulties getting accurate shipment weights and cubic meter measurements. If I ask for FOB pricing – isn’t that just sea freight? Are there Chinese customs that need to be taken into account? Is there a glaring whole in my understanding? Your help and patience would be much, much appreciated. You’ve got it all correct, so don’t worry. 2) How much you’re willing to pay for shipping. Sea freight will always be the cheapest option so if price is important, go with sea freight. If you need the goods fast, use air freight as delivery will take just 7-10 days as opposed to 30-45 days for sea freight. FOB stands for free on board – this includes the product cost, shipping to the nearest port and export fees (if any). You’ll still have to pay extra for shipping itself – be it air freight or sea freight. As for your costs break down – it is correct BUT you haven’t included the various port/airport fees you’ll face. These can sometimes be hundreds of pounds. For that reason, I highly recommend you use a freight forwarder who can consolidate all these shipments, take care of shipping and the customs clearance procedure for you and give you a final Door to Door quote. This final price will include all the fees so you know exactly how much it will cost you at the end. That’s it for today and our Questions & Answers blog posts! I wanted to take this opportunity to say a BIG THANKS to all the people who have sent in questions over the last few years. Without you this blog wouldn’t have been as interesting or valuable – of that I’m 100% sure! And a thank you to all of you who leave comments as well, as without you this blog would be a boring theoretical archive, rather than the community it is. As I said, nothing ends today – if anything we’re just advancing this concept to the next level! So if you have a question or two to ask, please get in touch with me via the contact form on this page. Nothing has changed and I will still personally reply to ALL emails – one of which will be selected every week to be featured in our new and improved Q&A. How serious is it if some ipad cases boxes are slightly damaged. Is that something I should return to my supplier or can I sell it as is, as long as the item is in perfect condition. I’m really new to ebay so want to get the feedback right..
Really depends on how much damage is there…. Customers won’t likely WILL notice it and it could be a problem, especially if it’s a gift. What you can do though is clearly mention in listing, ideally in listing title or sub-title that box/packaging is slightly damaged – and include a picture of WORST package you have. Then people who will receive damaged packaging won’t be surprised and others – will simply be happy that they have received product and packaging in perfect condition. But if only some items are affected – like few out of hundred, then I wouldn’t simply sell them. To not affect sales of items that are in perfect packaging condition. International Visibility For Your eBay Listings! Just a quick update on my question featured above about replying to eBay customers from my email client. I thought I was using the same email address as the one registered to my eBay account, but it turns out that, because I’m using a free Gmail account to send my email from my registered domain name, some email software (including obviously eBay’s message centre) sees my From address as the free Gmail one, not my actual address. That’s why the messages weren’t getting through. Am I right in thinking that there are alternatives to Terapeak?